PITTSBURGH, PA, and ATLANTA, GA, September 6, 2017—Knopp Biosciences LLC and the American Partnership for Eosinophilic Disorders (APFED) today announced a partnership to advance awareness of hypereosinophilic syndromes (HES) and to investigate the challenges facing people with the disease. The partnership includes a one-day conference for patients with HES, believed to be the first of its kind, to be held March 23, 2018, in the Washington, D.C. area. This event will bring together patients and researchers to discuss the needs and experiences of people with HES, a rare, systemic inflammatory disease caused by increased levels of a type of white blood cell – the eosinophil – implicated in numerous inflammatory diseases. 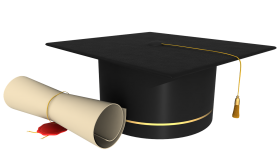 Knopp and APFED will also develop up-to-date educational materials for patients with HES highlighting advances in understanding the causes of and treatments for the disease. Knopp Biosciences is advancing dexpramipexole, an oral drug recently shown to lower eosinophils and corticosteroid requirements in patients with HES. 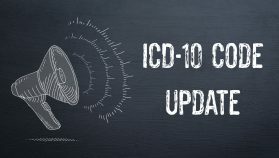 Further clinical studies of dexpramipexole in HES are expected to begin in the first half of 2018. Details about the March 2018 HES patient conference and a link to register for the event will be available in October on the APFED website, apfed.org, and the Knopp Biosciences website, knoppbio.com. 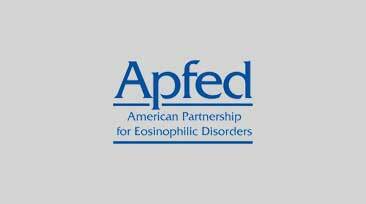 The American Partnership for Eosinophilic Disorders (APFED), based in Atlanta, GA, USA, is a 501(c)3 non-profit organization whose mission is to passionately embrace, support, and improve the lives of patients and families affected by eosinophil-associated diseases through education and awareness, research, support, and advocacy. To learn more about APFED and eosinophil-associated diseases, visit apfed.org. Knopp Biosciences, based in Pittsburgh, PA, USA, is a privately held drug discovery and development company focused on delivering breakthrough treatments for inflammatory and neurological diseases of high unmet need. Our clinical-stage small molecule, dexpramipexole, will be entering late-stage clinical studies in hypereosinophilic syndromes and Phase 2 clinical studies in eosinophilic asthma. Our preclinical platform is directed to small molecule treatments for neonatal epileptic encephalopathy, a devastating brain disorder of infants caused by a rare mutation in the KCNQ2 gene. Please visit knoppbio.com.